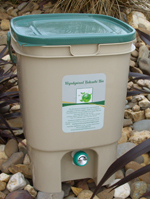 The Wyndywood Bokashi Bin is designed to sit inside your home in a suitable and convenient area such as under a sink. Fermentation is an alternative sustainable method of recycling food waste compared to the dumping of food into landfill. This action reduces green house gas emissions. Fermented waste retains all of its energy and most of the nutritional benefits and are more readily available for nutrient intake by plants. The microbes from fermented waste over time enhances soil quality, therefore producing greater plant yields and healthier, stronger plants. The Wyndywood Bokashi Bin should only have a sweet/sour smell, not a rotting smell when fermenting. At the end of every day, add your food waste and sprinkle a layer of the Wyndywood Bokashi Grain (approx 1/3 cup) over the untreated food waste and let the Bin go to work. 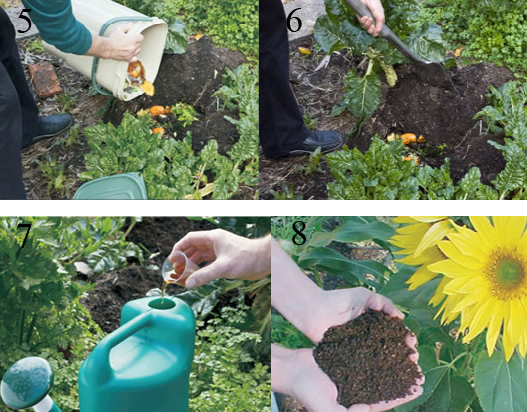 Do this process until the Bin is full and then its time to add the fermented waste to your garden and start over. 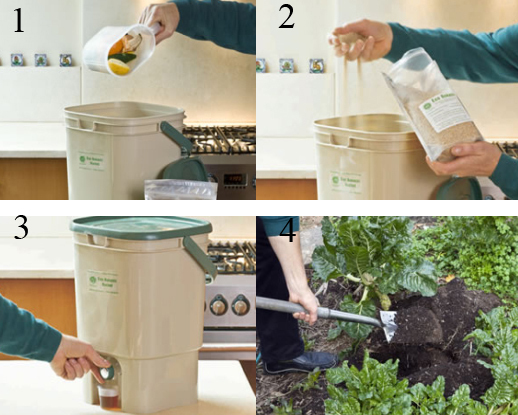 Our Bokashi Bin also comes with 1.5 litres of Bokashi Grain (1kg) , drain plate, masher and cup. Bokashi Grain Refills are available in 1.5 and 5 litre resealable bags.